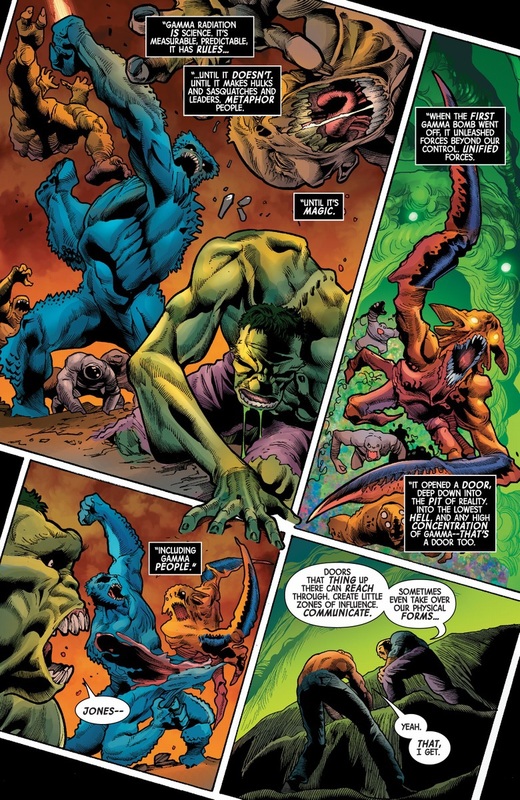 Thunderbolt Ross and Rick - two people whose gamma depowering both did and didn't work out for them. 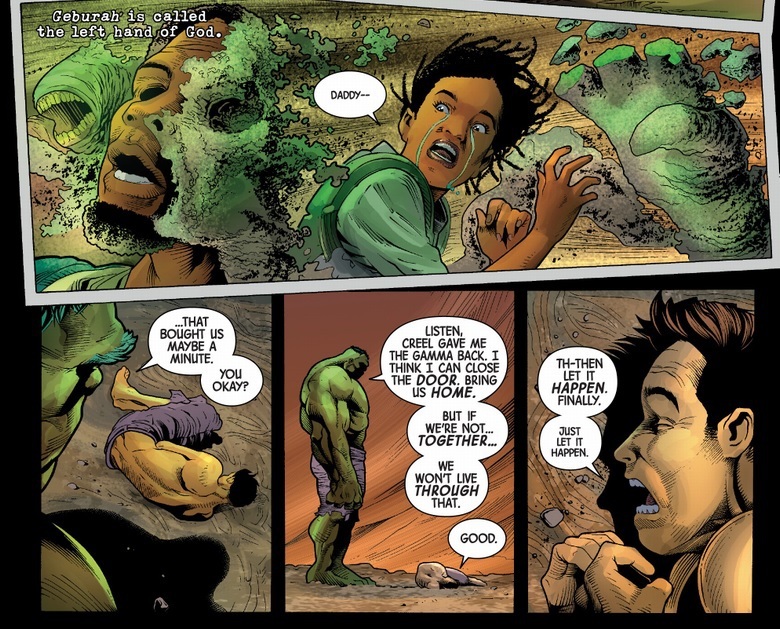 Who knew this Hulk had the capacity for heartwarming moments? 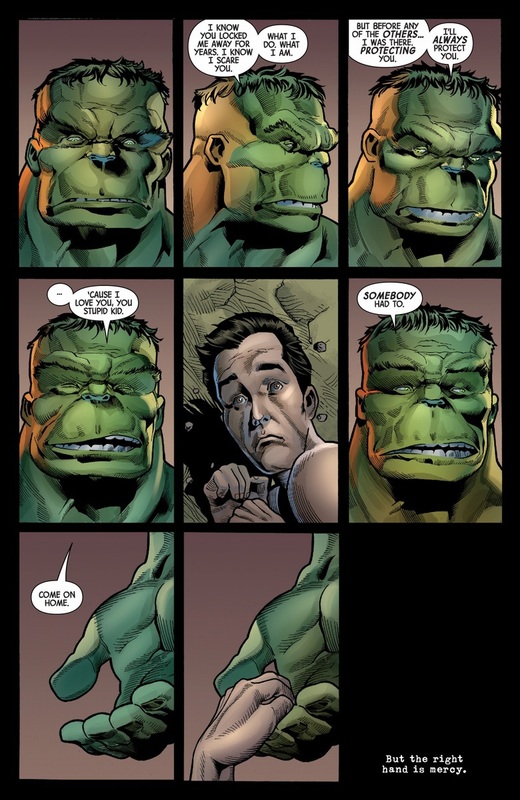 It's nice to see that self-loathing Bruce Banner does have some part of himself that still cares about his own life. He deserves it. 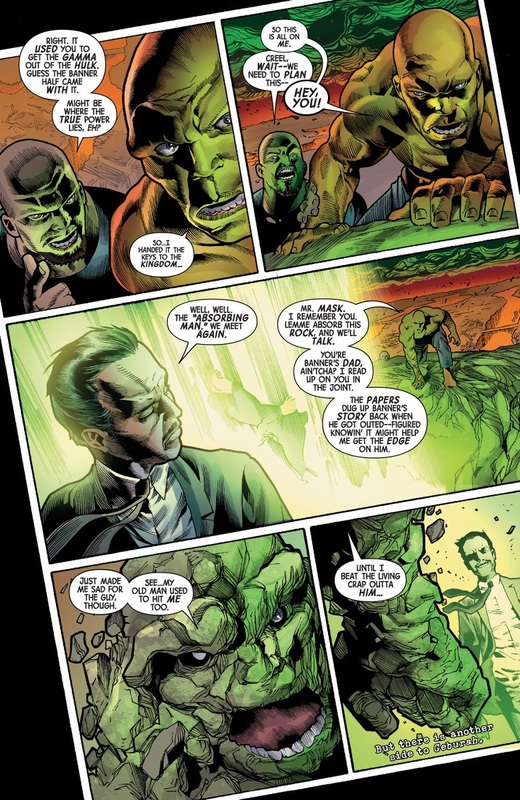 And for a brief shining moment we had the Absorbing Man about to fight (an approximation of) Brian Banner, who was turned into the Absorbing Man in Ang Lee's Hull movie. That had to be intentional.